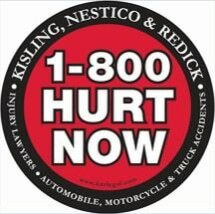 Fully committed to protecting the rights and entitlements of innocent accident victims and their families, the attorneys at the law firm of Kisling Nestico & Redick LLC work hard to help our clients secure the compensation and benefits they deserve after suffering an injury or loss caused by someone else's negligence or wrongdoing. Serving all of Cuyahoga County and the south Cleveland metro region from our law office in Independence, Ohio, our attorneys and dedicated support staff will work closely with you to help you secure the finances you need to support yourself and your family in the wake of a devastating tragedy. With more than 400 years of combined legal experience among us, our attorneys can handle the demands of your case regardless of how complex or challenging. Throughout our history, we have recovered more than $450 million on behalf of those we serve, and our law firm has earned a reputation as one of the top personal injury practices in the region. By taking advantage of our law firm's free initial consultation, you can discover why so many throughout the state trust Kisling Nestico & Redick LLC for efficient, effective representation that gets results. Our attorneys and legal professionals are ready to serve you and your family in any way possible to help you through your difficult and uncertain time.